Our blog post today is from our WhatNexter of the Week, "LCompston". She is a two-time head and neck cancer survivor and was kind enough to share all of the details of her 32-year journey, the good, bad and ugly. "Still_Fighting" is a 12-year survivor of chronic lymphocytic leukemia (CLL), although she is still on maintenance treatments, and likely will be for the rest of her life, she says she is still doing well and living her life. Take a look at her story, and drop by her Homepage at WhatNext and giver her a big CONGRATULATIONS for staying on top in her fight. In this guest blog post, she details her fight with CLL. WhatNexters often feel that a lot of financial aspects of cancer go way over their heads. Even if a patient has health insurance, there can be anxiety when dealing with paying for treatment and insurance coverage. WhatNexters recommend taking a deep breath, staying calm, and doing your homework to find resources to help sort through the challenges. 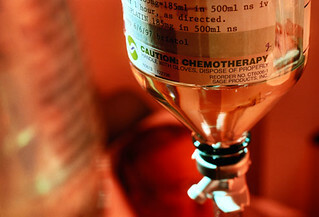 Chemotherapy is a common treatment for many people with cancer. It is not unusual to feel fear and uneasiness before going into one’s first chemotherapy treatment. Being prepared may help you feel less unsettled about going to your first round. We asked the WhatNext Comunity how they would prepare. The information listed here is how WhatNexters prepared for chemo. This information does not represent medical advice and all input is from WhatNext members themselves. Cancer can take a terrible toll on a family’s finances. One way of lightening the load is to hold a fundraiser or “benefit.” I’m often asked about ideas for raising finances for a cancer patient. I thought I’d share not only those ideas but our personal experience as, well. Finding out that someone you care about has been hit with a cancer diagnosis is heartbreaking...and confusing. Whether it's a spouse, a parent, a young adult, a friend, a colleague or a child - it's often difficult to know what to say or what to do. Or what to not say or not do! Each case is a little different, but here are some tips for helping someone with cancer. The American Social Health Association (ASHA) and the National Cervical Cancer Coalition have named January Cervical Health Awareness Month to encourage women across the country to get screened for cervical cancer and receive the human papillomavirus (HPV) vaccine if they're eligible.